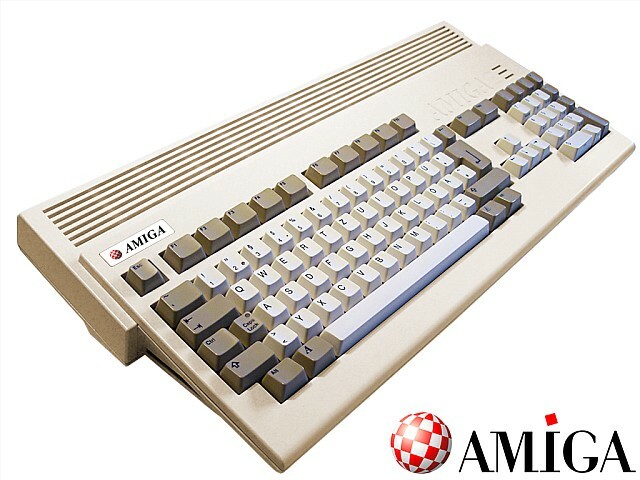 Indie Retro News: New AMIGA 1200 Cases - The new Amiga case Kickstarter needs YOUR help! New AMIGA 1200 Cases - The new Amiga case Kickstarter needs YOUR help! Throughout this month and last we have been featuring possibly the coolest Amiga Kickstarter that has been the talk of the site ever since we first announced it back in Sept (link). It's none other than Philippe Lang's second Kickstarter attempt; New AMIGA 1200 Cases ', in which you can pledge for your very own super resistive and Anti-UV plastic moulded Amiga case in a multitude of colours. That's right NO MORE YELLOW! What's more not only are there special editions available, but these cases have compatibility with the A1200 Reloaded / Raspberry Pi / MiST and more! But this Kickstarter needs your help, as currently this project is at €113,014 pledged of a €125,000 goal with just 6 days to go!! In regard to the special editions, such as the amazing Alistair Brimble special or the Skidrow Limited Edition, in which you can get more than just your average paint job. Today's announcement from Scoopex, has mentioned to us that their 199 euro pledge has been so popular, they've had to add a NEW Scoopex edition with small modified look (badge & plaque) plus more awesome perks. But remember there's only 30 pieces available, so once they are gone, that's it! Due to INCREDIBLE demand, second, slightly modified batch of SCOOPEX Amiga 1200 cases are NOW available on Kickstarter! 30pcs available! Go and get your own, NOW! Two great perks added! Backers of LIMITED EDITION cases gets new perks too! - Full dark grey case. NO transparent bottom. - Second batch of cases is NOT numbered. - New plate with a Scoopex logo added instead numbered one. - Modified badge with smaller Scoopex logo. - Iconic Scoopex Eagle logo added to the badge. - Beer Sleeve with Mikael "UNO" Billborn's graphics and signature! - Mousemat with Tomas "UNCLE TOM" Dahlgren's signature! And I want to point out again that ALL Scoopex case backers (including LIMITED EDITION backers) gets these new perks without paying any extra!